US buyers As a continued service to encourage natural healing remedies we are offering FREE SHIPPING for all orders $200.00 and over ( continental USA only ) that are paid by MO or Cashiers Checks.. Shipping carrier will be USPS using the method that best suits your order ( usually Air Letter or Air Parcel, but when S&H fee allows we even send priority ). 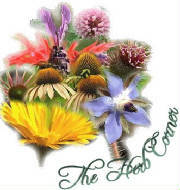 The Herb Corner will personally insure all U.S. orders and they will be shipped with delivery confirmation. For insurance claim with us the following apply. If delivery is posted by USPS, we consider it delivered and not lost. Package can be considered lost after 30 days and we will send a replacement order ( no refunds ). If items are damaged, a stamped letter from your post office will be required verifying damage. Once received a replacement will be sent. Please email immediately for any claims.